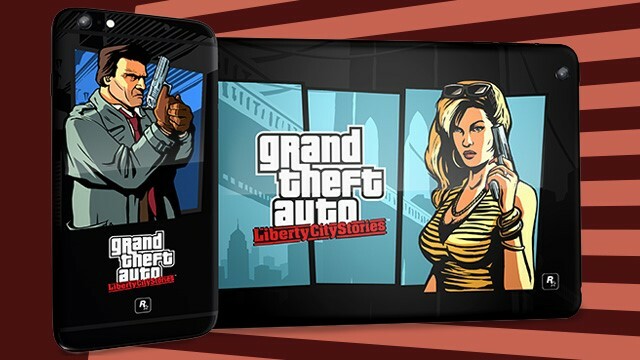 To celebrate the release of Liberty City Stories on mobile platforms, Rockstar Games is giving away an iPad Mini and iPhone 6+ customized with LCS graphics. Enter now through Friday, January 8th via the super simple form on the Social Club Events page and you could be in with a chance of winning one of these awesome prizes: an iPad Mini 4 with 128GB of storage, LTE connectivity and Touch ID fingerprint sensor OR an iPhone 6S Plus with 128GB of Storage (unlocked/compatible with all cellular carriers that support the iPhone) and 3D Touch pressure sensitive screen. Each device is painstakingly customized with a dual-finish automotive grade paint job. The illustration is painted in a smooth matte finish and then spot varnished with an ultra-high gloss clearcoat, resulting in a hand assembled, one-of-a-kind collector’s item that will never be re-issued. Grand Theft Auto: Liberty City Stories is currently available for iOS, and coming soon to Android and Amazon devices. And those who download Liberty City Stories and then sign in to Social Club within the app, will unlock the bonus I HEART LC t-shirt with the same account used in Grand Theft Auto Online for PlayStation 4, Xbox One or PC. Good luck and join the fun at the GTA V forums!